This is White Strong & Flexible material. 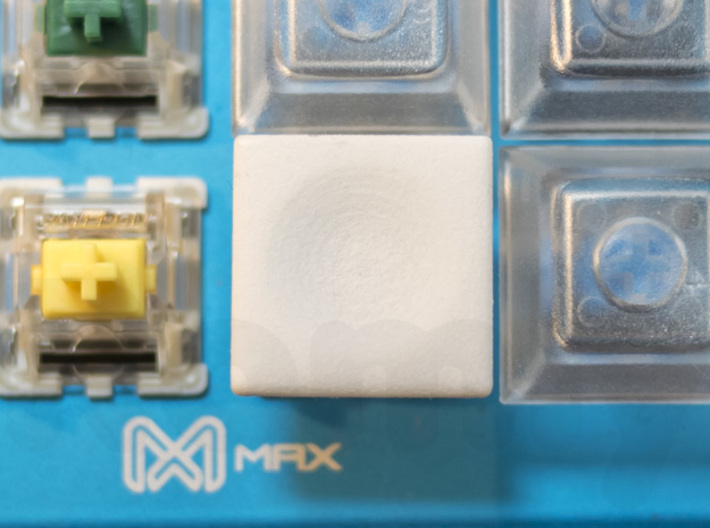 Cherry MX compatible keycaps, looks flat, has square shape. 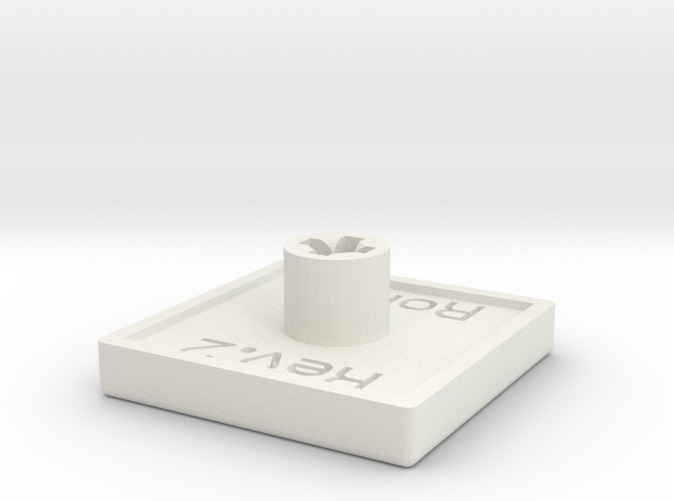 If you see this keycap from right above, it looks just a square plate. That makes organized looks. 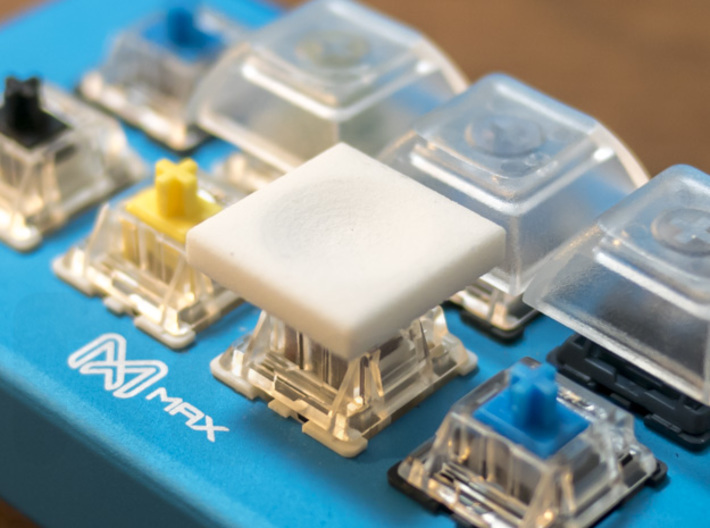 But actually, it has spherical concave, which makes very comfortable finger touch. 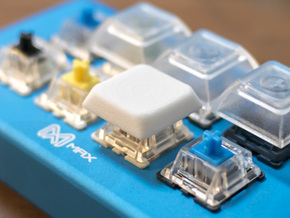 So perhaps this keycap makes your keyboard looks clean, while keeping cozy typing feelings. 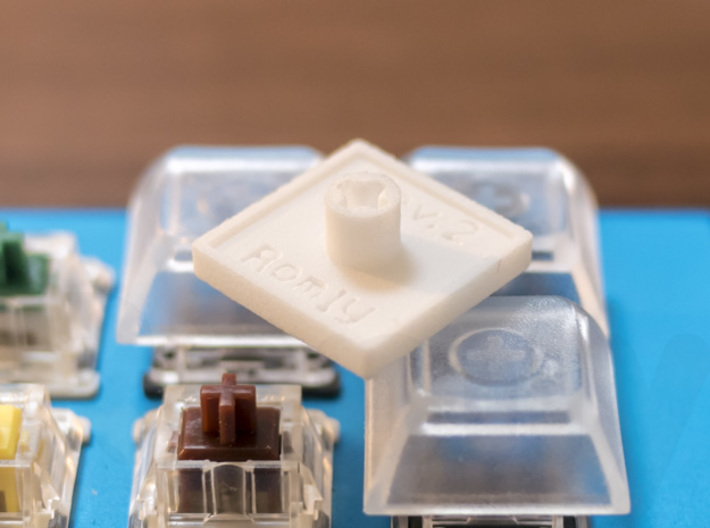 Nylon (White Strong & Flexible) material has a rough feel texture. If you prefer smooth one, sand papers will do. 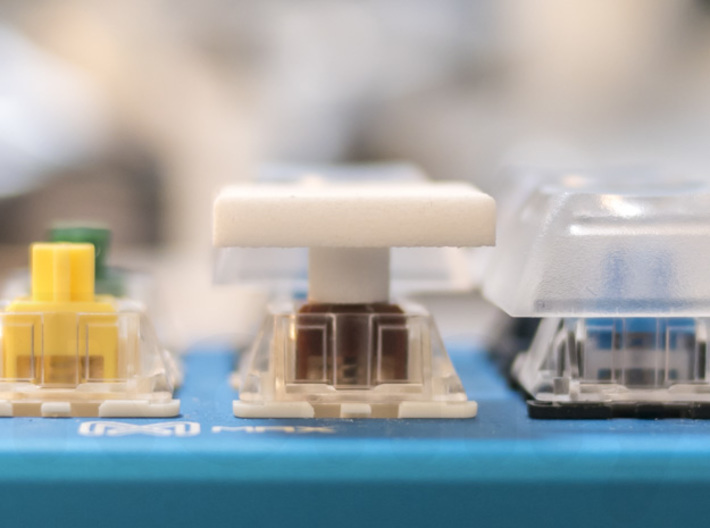 I'm making mechanical keyboard related things, such as keycaps, Cherry MX compatible accessory, cute keyboard mascot "Keycappie" and also tableware.